Britain has a shameful track record of exporting arms, along with crowd control equipment, to torture regimes in countries such as Saudi Arabia and Bahrain. These arms, equipment, counter insurgency techniques, are to be tested again in the laboratory of British Occupied Ireland, something that came to halt during the peace process. Britain cannot claim to be on the side of peace and democracy while their Tory PM, sponsored in the last election by Britain's industrial war complex, acts as a travelling salesman for the arms industry. Sponsored too it appears, are certain elements of Britain's secret services who are responsible for ending the peace process in Ireland. The troubled in Ireland and the use of British equipment and counter insurgency techniques, serves as a window to Britain's neo-colonies of their commonwealth, to involve themselves in the lucrative rackets and political corruption of armament sales, to their political stooges of neo-colonial commonwealth. 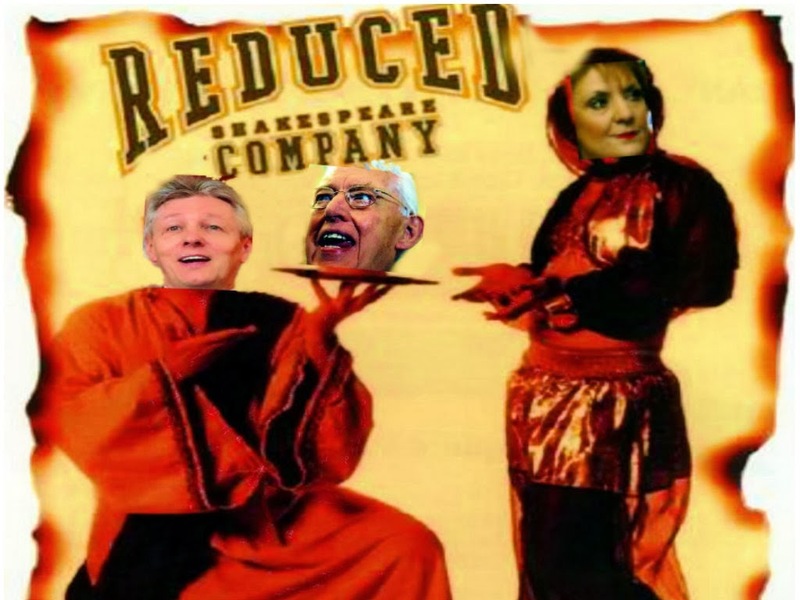 With the shift in the political decision making process in Britain, now heavily weighted in the upper echelons of their secret service palace on the Thames, Cameron is merely a salesman for their war racket while political internees of secret courts and evidence, such as Marian Price, Peter Corey and Gerry McGeough simply pawns of provocation, to conclude the Peace Process in Ireland. While British Labour appeared to take the process seriously, the Tory leader in waiting, London Lord Mayor Boris Jonson probably expressed Tory sentiment best with his description of Sinn Fein activity as " Left wing crap." There is no evidence since the Tories came to power, of any power sharing dividend of the peace process for Irish nationalists. Indeed Provisional Sinn Fein in the person of Adams and McGuinness, have been made to look increasing like boys whistling in the dark, by the sequence of Tory Vice royals, who in reality are ruling the orange statelet, with a distinctly arrogant bigoted London tone, rather than the usual provincial, orange, sectarian dictat. The Boston College debacle, the arrest in Belfast of former republican peacemakers, along with the return of internment are distinct breaches of the terms and spirit of the peace process.The Irish republican reaction of killing British operatives, is confirmation that the sponsored Tories and secret services, have achieved their target, of ending the process. Recently the Guardian revealed that Britain lent Indonesia £630m to buy British arms for General Suharto when he was slaughtering protesterss. The weapons, included armoured cars, jet aircraft used against civilians in East Timor. £50m was lent to the Argentinian junta to buy British arms prior to the Falkland war. The British lent £12m taxpayers monies for Land Rovers to President Robert Mugabe. Amnesty International said vehicles were used to smash peaceful demonstrations. £100m in loans were provided to Egypt under Hosni Mubarak to buy British weapons. Unpaid loans were provided to Saddam Hussein in a war against Iran. Tim Jones, policy officer at JDC told the Guardian; "For years the UK government has claimed it is not possible to find out where debts come from. The figures released show this was a lie. They reveal a history of horrendous loans to dictators such as General Mubarak, General Suharto and Saddam Hussein for military equipment. People in these countries should not have to pay these unjust debts." A recent article by Colin Todhunter explains it further. "British PM Cameron is often quite keen to stand in front of the TV cameras and lecture the public on the values of peace and democracy in an unstable world. With his public school accent and an air of authority and respectability afforded by the trappings of state, Cameron words may carry a good deal of weight to the casual observer. But what better way to evaluate his commitment to such high-minded principles by highlighting his actions. Let’s cast our eyes towards the Arab world. Under Cameron, Britain is not only involved in stoking conflict in Syria right now, but also helped destroy Libya by supporting and taking part in an illegal NATO bombing campaign. Moreover, Britain not only exported weapons and crowd control equipment to Gaddafi months before attacking him, but also to dictator Hosni Mubarak in Egypt and to the regime in Bahrain, a clique which last year carried out the fiercest of crackdowns on protesters. Referring to this trip, Britain’s Green Party MP Caroline Lucas says that while the economy needs a boost, Cameron should draw the line at “dirty money”. Lucas went on to say that Britain has a shameful track record of exporting arms and equipment to regimes in countries such as Saudi Arabia, Bahrain and Libya and said Britain can’t claim to be on the side of peace and democracy while the PM acts as a travelling salesman for the arms industry. Henry McLaughlin, from the Campaign Against Arms Trade (CAAT), added that despite everything that has happened in the last two years in the Arab world, the British government continues to bolster authoritarian regimes with weapons’ sales and to spend taxpayers’ money on promoting further deals. While spokespersons from the British government are fond of telling the media that tens of thousands of British jobs depend on the defence industry and that huge arms deals are ‘good for the country’, it is well worth considering that defence companies are privately owned and that each worker employed in the UK by BAE Systems, the country’s largest defence contractor, is subsidised to the tune of around 13,000 pounds a head. It begs the question, media sound bites aside, who really benefits from the arms industry? The arms sector’s contribution to the British economy is minimal, but the industry constitutes a very powerful and effective lobby and the links and revolving door between government and self-serving arms manufacturers have been noted (1). Little wonder then that in 2006, using a report from BASIC, the Oxford Research Group and Saferworld, and updated government figures, it was calculated that the arms trade received about 852 million pounds a year in subsidies. Much of this money goes to BAE, a company with a track record of bribery, espionage and arms deals with oppressive regimes, among other dodgy deeds. Kaye Stearman from CAAT says that while BAE loves to talk about the supposed benefits it brings to the UK economy, the greatest benefits go to the arms company’s bosses. Top man at BAE Ian King pockets around a million pounds a year base salary, according to the 2010 BAE annual report and already has a pension pot of 11 million pounds. That’s not even taking into account his various share options. David Cameron does a good job for the likes of King. In 2011, he was in Egypt mouthing platitudes about democracy and human rights as the Mubarak regime fell. Then he moved on with his arms dealers in tow to Bahrain and Saudi Arabia- those bastions of democracy and human rights, who were invited by the Cameron government to attend a London arms fair. 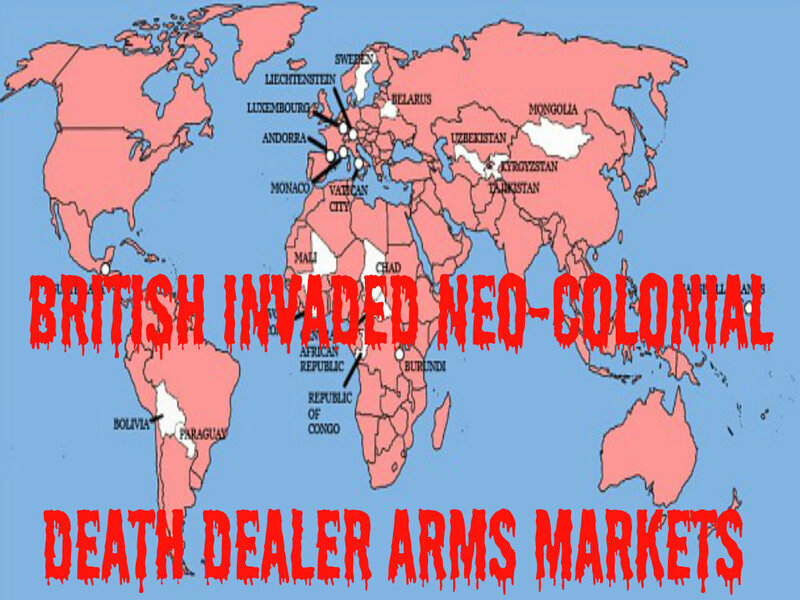 And on the day that Cameron was in Libya celebrating another hollow victory for imperialism, many of his arms dealing cronies in London were reaping the rewards of his militaristic policies and salesmanship at the said fair, the Defence and Security Equipment International Exhibition. As the London fair was in full flow, Cameron was in Libya wallowing in the limelight on the political platform of ‘protecting’ Libyans from Gadhafi. What sheer hypocrisy. Tens of thousands now lie dead in Libya, countless others were maimed and much of the country’s physical and social infrastructure is in ruins as a result of British-French military rockets and bombs. But who cares when there is a fast buck to be made? Certainly not the British government, which partly funded the event through its arms promotions organisation. Despite apparent concerns over repression and human rights abuses and despite soothing official statements about the stringent conditions for issuing sales licences for arms, Cameron has few qualms about selling to Algeria, Israel, Bahrain, Libya, Iraq, Saudi, Pakistan and the UAE, some of which constitute his government’s ‘arms export priority markets’. While Cameron and British Foreign Secretary William Hague stand in front of TV cameras and make warm sounding speeches about humanitarianism and the precious nature of human life, they and their arms dealing buddies are all to willing to play fast and loose with the lives of millions of people through their militarism, the ratcheting up of regional tensions and the sanctioning of arms deals. If the arms industry ever went into a mild panic when the Cold War finished, there was never any need. Despite the economic downturn and major defence cutbacks in the US and Europe, markets such as West Asia, Africa and India, the world’s largest arms importer, are on hand to keep the pot boiling. With politicians stuffed in back pocket and tensions being stoked in various locations across the globe, regional arms races seem likely to keep the arms trade in profit for a long time to come. As far as India is concerned, according to the Stockholm Peace Research Institute, India is the world’s largest importer of arms and its imports have grown by around 240 per cent since 2000. In 2009/2010,New Delhi’s defence spending increased by 34 per cent in one year alone. Notwithstanding India’s concerns over China and its ongoing tensions with Pakistan, the Indian state is currently using 50,000 security personnel in an attempt to quell its Naxalite/tribal insurgency. The insurgents are operating in some of the world’s most impoverished and politically disenfranchised geographic regions. It doesn’t take a cynic to ponder if such a situation merely represents a profitable opportunity for arms companies abroad to flog their wares to the Indian state in order for it to carry out repression on its poorest people who are resisting state-corporate land grabs. In the meantime and back in Britain, people are continually fed the lie that eye-catching arms deals are good for “the country.” In this time of biting austerity, it’s the quality of life for us, the people, that really counts, not headline-hogging arms deals that ultimately fuel conflict to the detriment of the many and for the benefit of the few."